While by no means a cure on its own, Scenar can definitely help with arthritis pain. Depending on the person's overall health and lifestyle, I have seen a combination of Scenar with other technologies deliver remarkable results. Arthritis is not just an inevitable consequence of aging: in the U.K., two thirds are under the age of 65, and 27,000 sufferers are under the age of 25, including 12,000 children. Arthritis is not simply hereditary. Arthritis is not treatable with just chondroitin, glucosamine and other supplements. Arthritis is not just a result of wear and tear: recent research indicates that auto-immune issues are important in Osteoarthritis as well as Rheumatoid Arthritis. It's never too late to start addressing it (although the extent of the damage done will affect how far Scenar can help). Only one in eight people in the U.K. seeks treatment for their osteoarthritis, and even those with rheumatoid arthritis often let it slip until major damage has occurred. Yet the effects are generally progressive and can eventually produce almost constant pain. The most obvious initial steps you can take are to change to a less inflammatory diet, add beneficial exercises and to reduce repetitive work and extreme sports activities that may be over-stressing your joints. Given a realistic chance, Scenar can then be a very useful adjunct therapy. Osteoarthritis is the most common of this family of around 200 conditions. It especially affects the joints of the knees, hips, hands, neck and lower back. Joints with OA may feel warm and swollen, and become stiff after periods of inactivity. Over the age of 45, many people start to experience a hardening, shrinkage and even breaking down of the cushioning cartilage in their joints, causing arthritic pain and stiffness. By 65, most people have some level of osteoarthritis symptoms, although it will have started many years before it became painful. Those who intensely stress their joints through sports or at work may start to suffer in their forties (especially men) and fifties (women). With osteoarthritis, key factors are the flexibilty of the cartilage, which becomes more vulnerable to damage, and the quality of the synovial fluid which lines the joints. These together act as a cushion, shock absorber and lubricant. 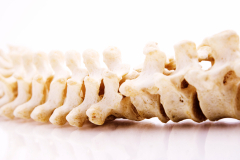 Bones may also thicken or change shape, often producing bone spurs. The joint space narrows, the cartilage degrades, and there may be direct bone to bone contact. Usually osteoarthritis responds steadily to Scenar, especially if combined with another therapy, Pulsed Electro-magnetic Fields, and dietary changes. The speed of improvement depends on how far the arthritis has progressed but it should be possible to see a gradual increase in the range of movement and mobility, and the range of activities that can be undertaken. Rheumatoid Arthritis is a serious and disabling degenerative disease. 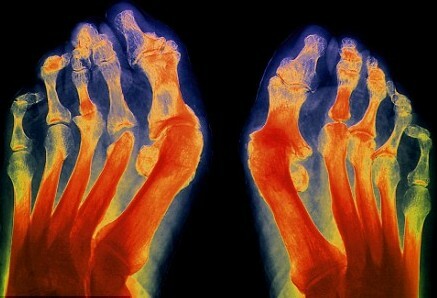 In RA, the immune system turns on its own body, in this case the lining of the joints, especially in the hands and feet. Rheumatoid Arthritis usually begins between 30 and 50 years old, and can destroy cartilage, bone, tendons and ligaments, causing permanent deformity and disability, clawing of fingers and toes, and in severe cases, internal organs, blood vessels and nerves. Aside from temporary pain relief, Scenar may help by relaxing the Autonomic Nervous System, which appears to be a key factor in the progress of RA. However, it is important to be realistic and to recognise that Rheumatoid Arthritis presents a very difficult challenge, and will usually require a great deal of treatment to see any tangible progress.